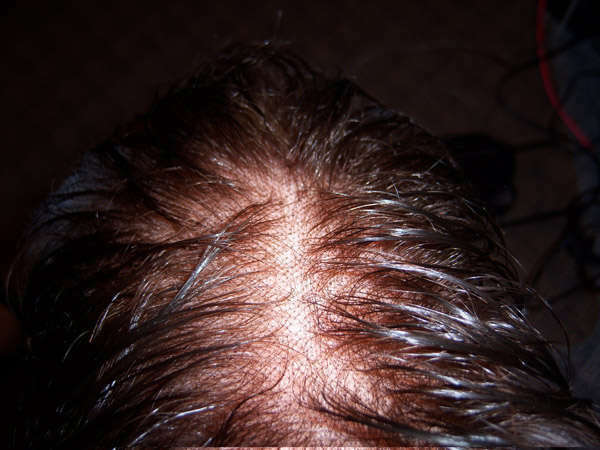 The Hollywood Lace w/Bleached knotsThe Hollywood Lace w/Bleached knots is the Most Natural, Undetectable Lace Hair Replacement Systems today. 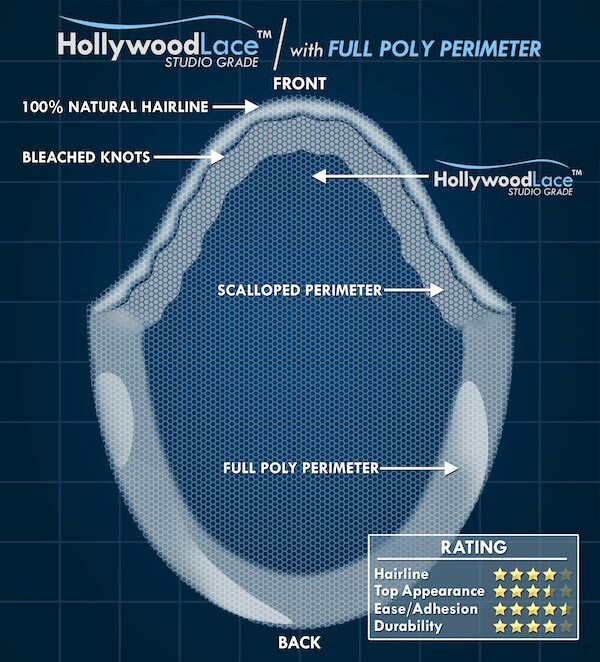 Our Hollywood Lace is the only recognized Toupee Wig material approved for use by the TV & Movie Production Studios. 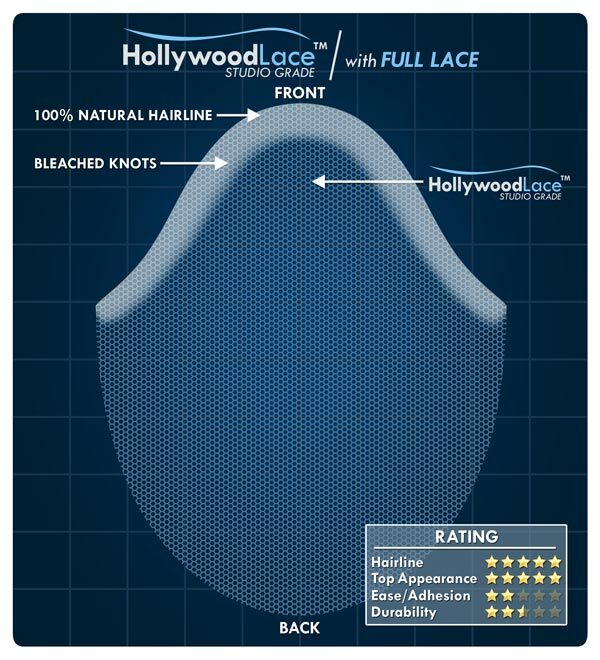 Please note there are other versions of Chinese made Swiss Lace that are sold, but they are inferior in both appearance, quality, & comfort to authentic Hollywood Lace. 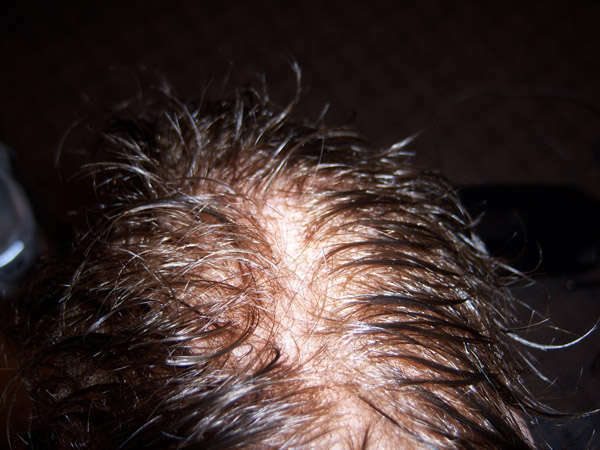 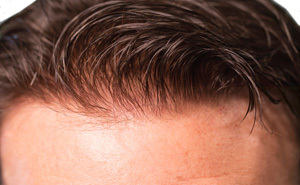 A 100% Natural, Undetectable HairlineA 100% Natural, Undetectable Hairline not only requires the best Toupee Lace material in the world, but also the best production techniques. 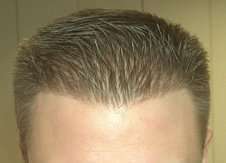 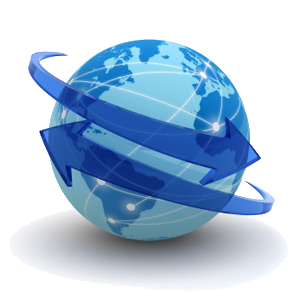 The most important of these methods is Knot Bleaching. 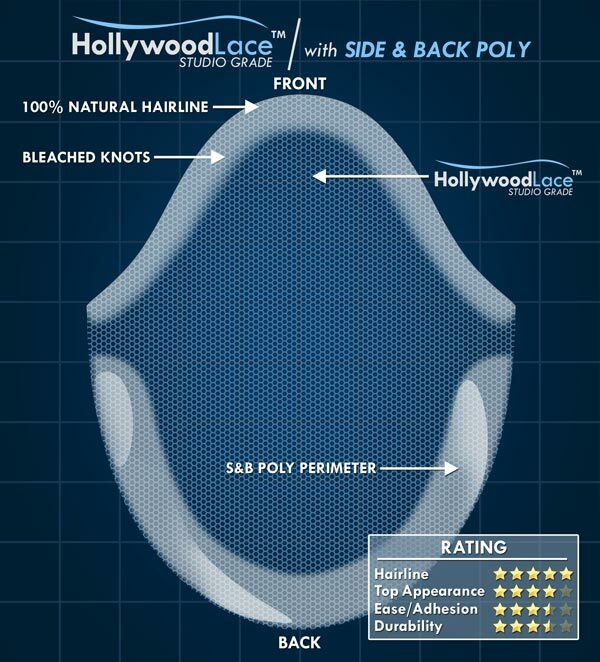 Hollywood Lace uses our own patented tool & proprietary method to make each knot Invisible.